01. Zoe Saldana : Hollywood actress Kids in Attipas Polka Red Shoes! Saldana's career climbed to new heights in 2009 when she played Uhura in Star Trek. She officially joined the A-list with her groundbreaking role as Neytiri, the Na'vi princess, in James Cameron's Avatar (2009). Beautiful Scheana from Vanderpump Rules holding Attipas baby shoes in Herb Organic Blue. Talented Asia Monet Ray visiting us at the Oscars gifting suite on Tuesday at the SLS Hotel Beverly Hills. Beautiful Romi Dias from 'Doubt'. We can't wait to watch you on Season 1 of Doubt! Thank you so much beautiful sisters Ava Kolker and Lexy Kolker for visiting us at the Attipas stand today at the SLS Hotel. So great catching up with Bonnie Morgan who plays Samara in 'The Ring' movies! We loved chatting to you and hope you loved Attipas baby shoes! Beautiful Hollywood actress Nikki Leigh with Attipas baby shoes im Marine Red. Loved meeting Alice Amter from 'The Bigbang Theory' CBS at this year's Oscars gift suite! Holding Attipas baby shoes in Sneaker Blue. Selfies with Tommy Davidson. So lovely to meet you and we hope you Attipas baby shoes! Any 'Young and the Restless' fans out there? Loved meeting lovely Kate Linde at the Oscars! With Attipas baby shoes in Corsage Pink. 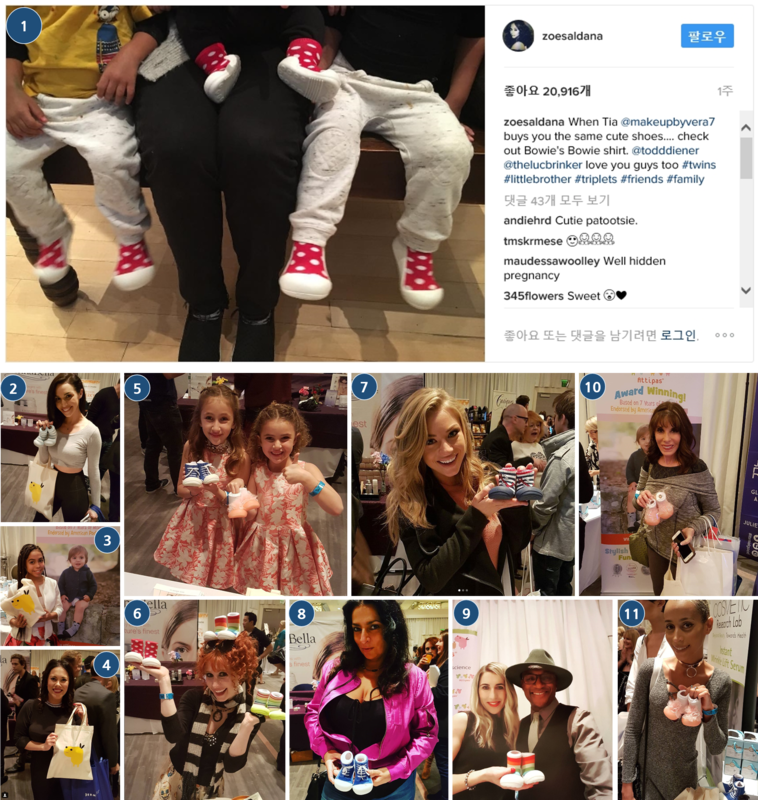 So great to meet Isis King from America's Next Top Model, who gave Attipas baby shoes the tick of approval. Adult sizes in the making!! !